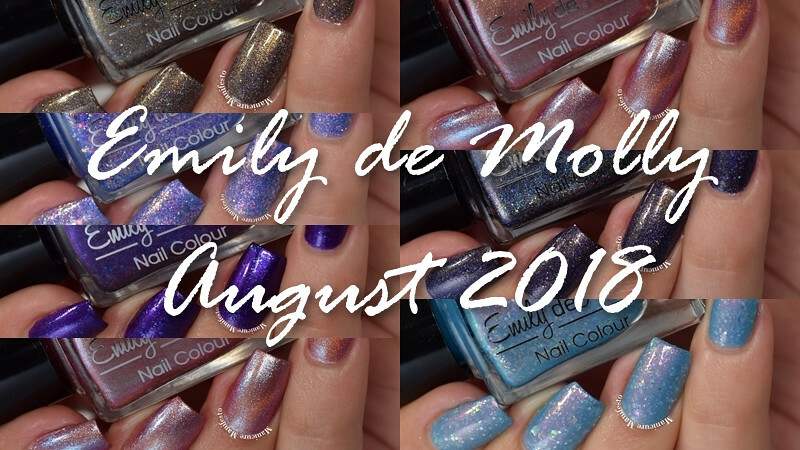 Today I have Emily de Molly's upcoming August release to share with you. This collection has a little bit of everything in it. Let's take a look at swatches. 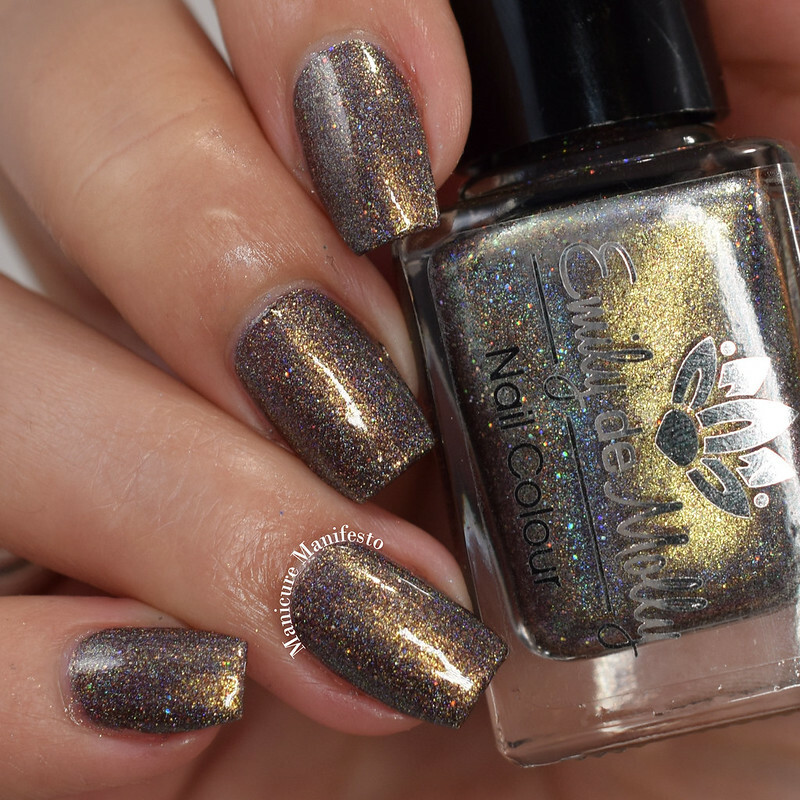 Ashes From Flames features an olive leaning pewter holo base with a strong gold shimmer. The formula was excellent taking two coats for full coverage. 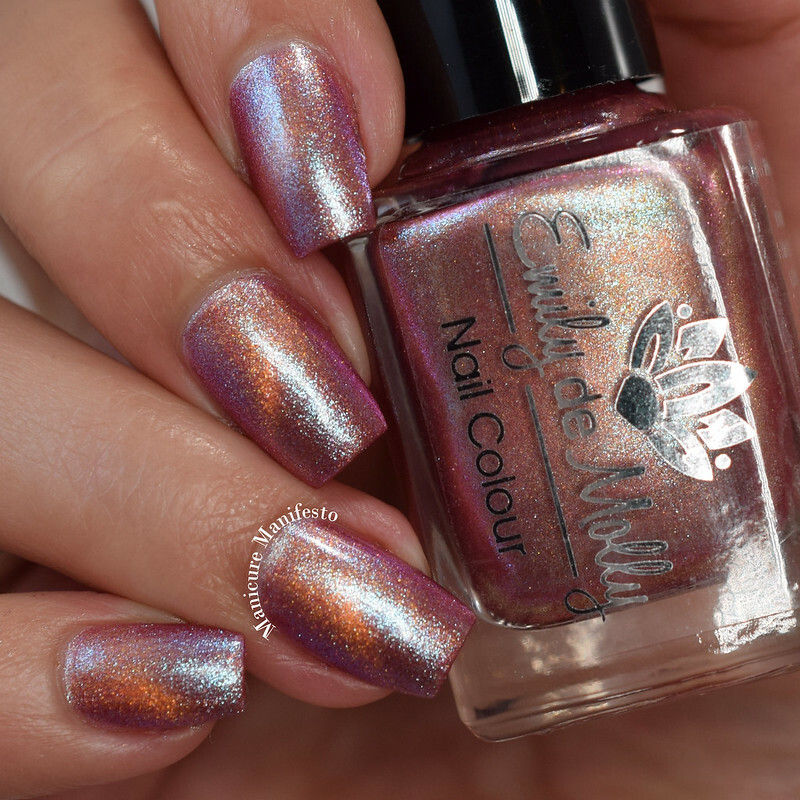 Photos show two coats of Ashes From Flames with one coat of CND Creative Play top coat in daylight spectrum lighting. 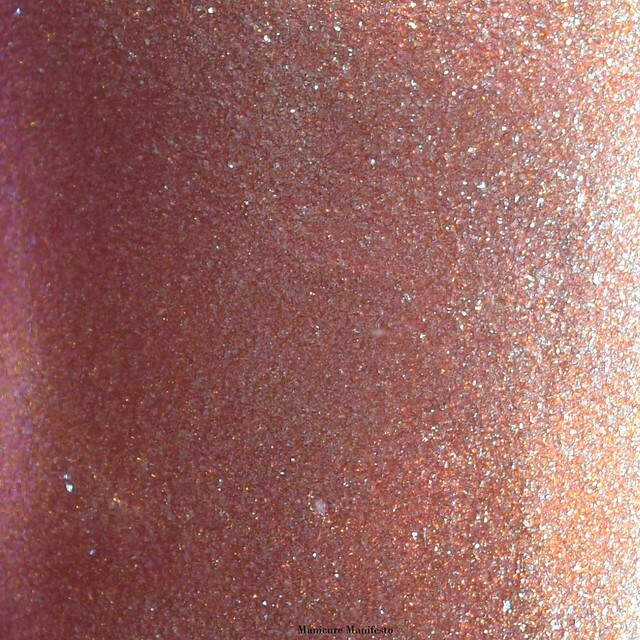 Positive Contact is a pink foil with a blue to purple shifting shimmer and an orange-copper magnetic shimmer. The formula was easy to work with. I applied the first coat without magnetizing it. I applied the second coat and then magnetized it with a bar magnet. I also used the bar magnet after applying top coat. Photos show two coats of Positive Contact with one coat of CND Creative Play top coat in daylight spectrum lighting. 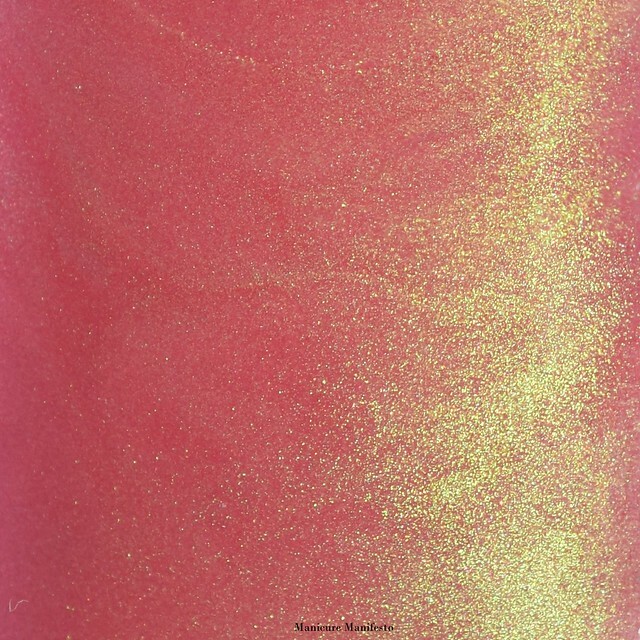 Subdued Delights features a peach (cold) to lilac purple (warm) thermal base with a soft green to gold shifting shimmer. No issues with the formula. I used two coats for full coverage, which is also opaque in the warm state. This dries to a matte finish so top coat is recommended if you want shine. Photos show two coats of Subdued Delights with one coat of CND Creative Play top coat in daylight spectrum lighting. 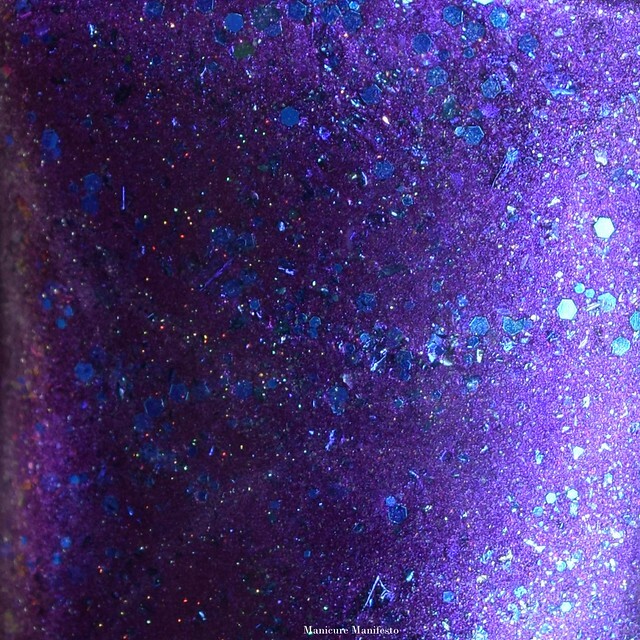 Memories Of Midnight features a royal purple base with tiny blue glitters and flakes. The formula was easy to work with taking two coats for full coverage. 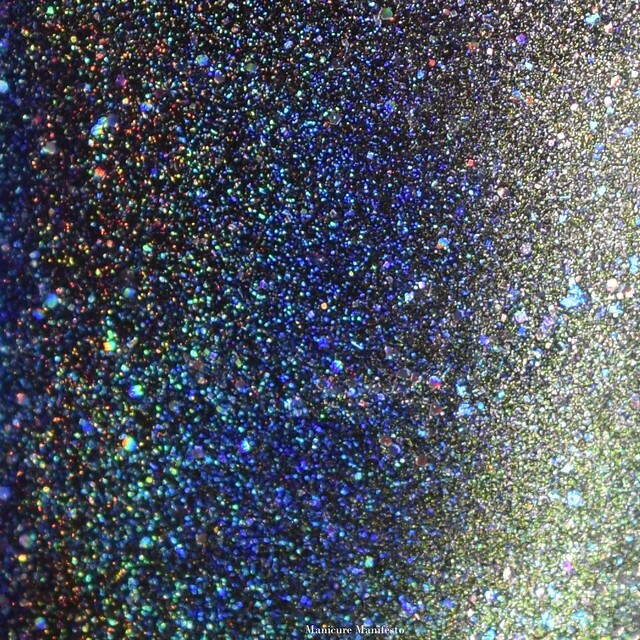 Though the glitters do look a little bumpy in the swatches, they were smooth to the touch. 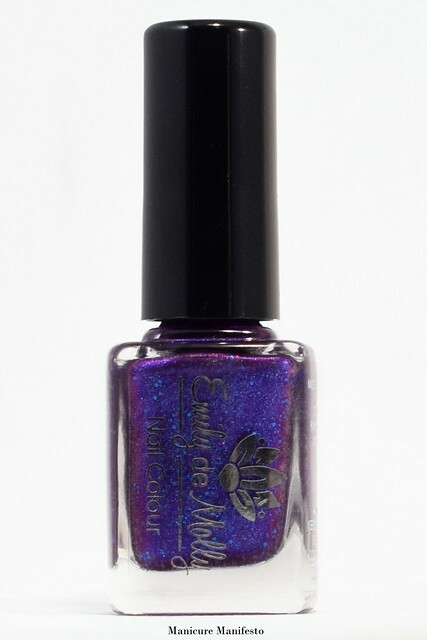 Photos show two coats of Memories of Midnight with one coat of CND Creative Play top coat in daylight spectrum lighting. 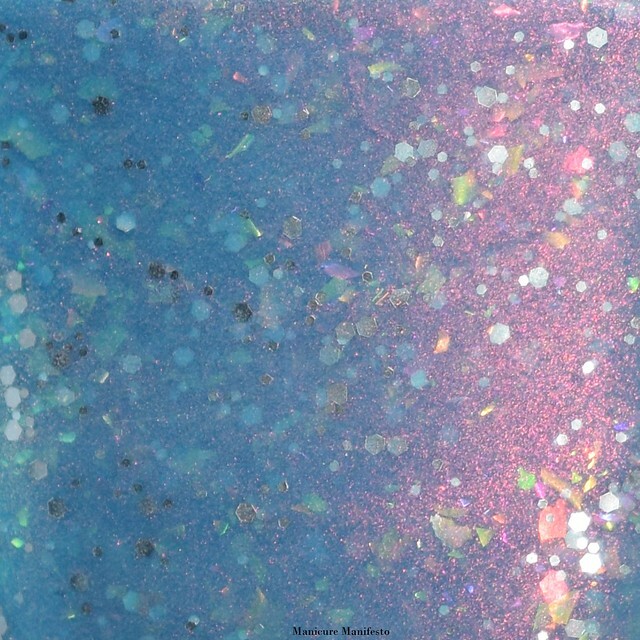 Dancing Through Sunday features a jelly base that looks lavender in some lighting and periwinkle blue in others filled with small orange to green iridescent flakes, aurora pigment and tiny silver holo glitters. The formula was excellent taking two coats for full coverage. 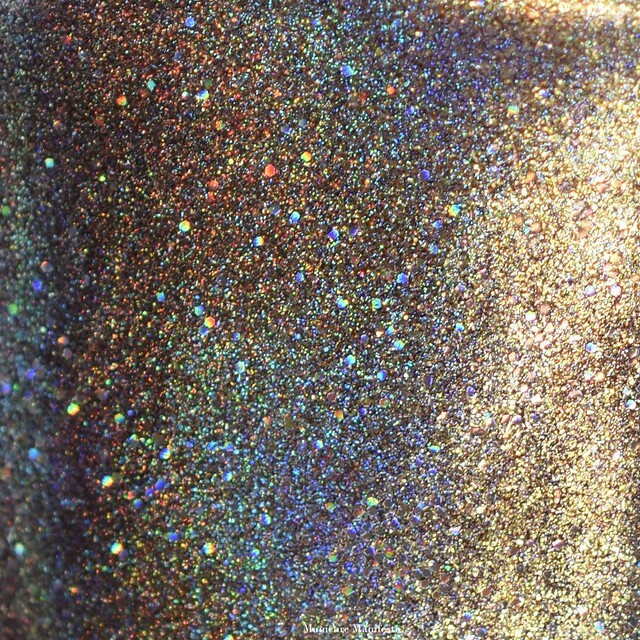 It also dries quite smoothly despite all those flakes and glitters, though top coat is recommended for a perfectly smooth finish. 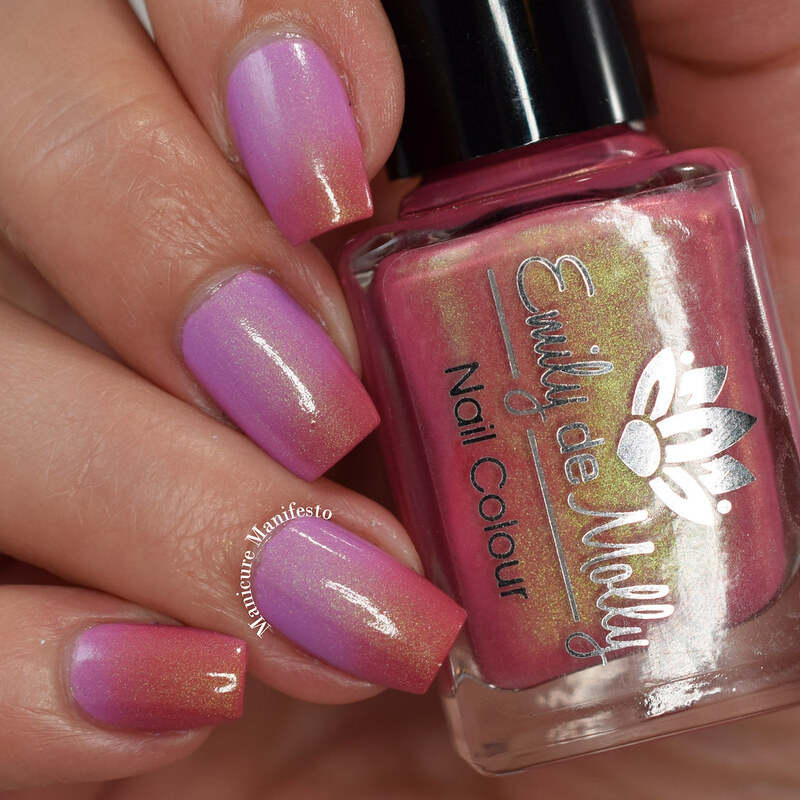 Photos show two coats of Dancing Through Sunday with one coat of CND Creative Play top coat in daylight spectrum lighting. 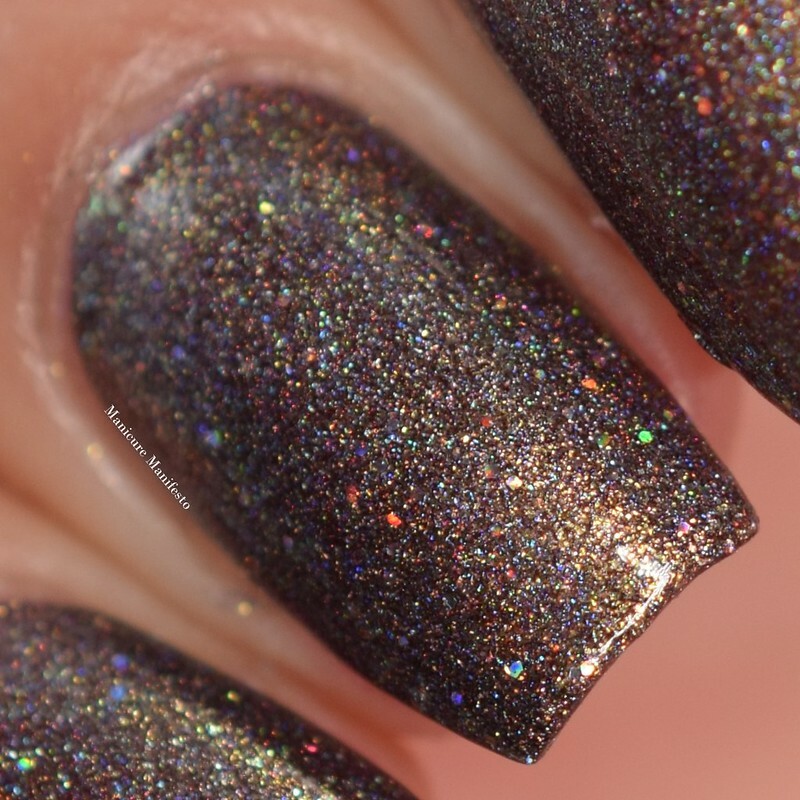 Right Of Passage features a dark purple holo base with a soft green shimmer and a light sprinkling of tiny blue flecks and tiny holo glitters. The formula was very pigmented and took two thin coats for full coverage. This shade dries to a satin finish so top coat is recommended if you want shine. Photos show two coats of Right Of Passage with one coat of CND Creative Play top coat in daylight spectrum lighting. 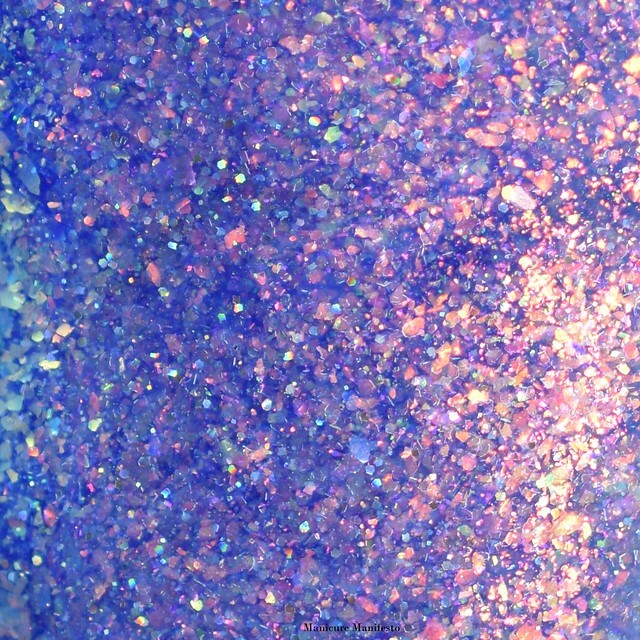 The Maze And The Hightower is a turquoise (cold) to blue (warm) thermal filled with pink shimmer, iridescent flakes and small silver glitters. The thermal shift was fairly subtle in this one and I found the polish tended to sit completely in the cold or the warm state on my hands. The formula was easy to work with though I did have the occasional large flakie that needed to be nudged into an ideal position. Three coats were needed for full coverage. 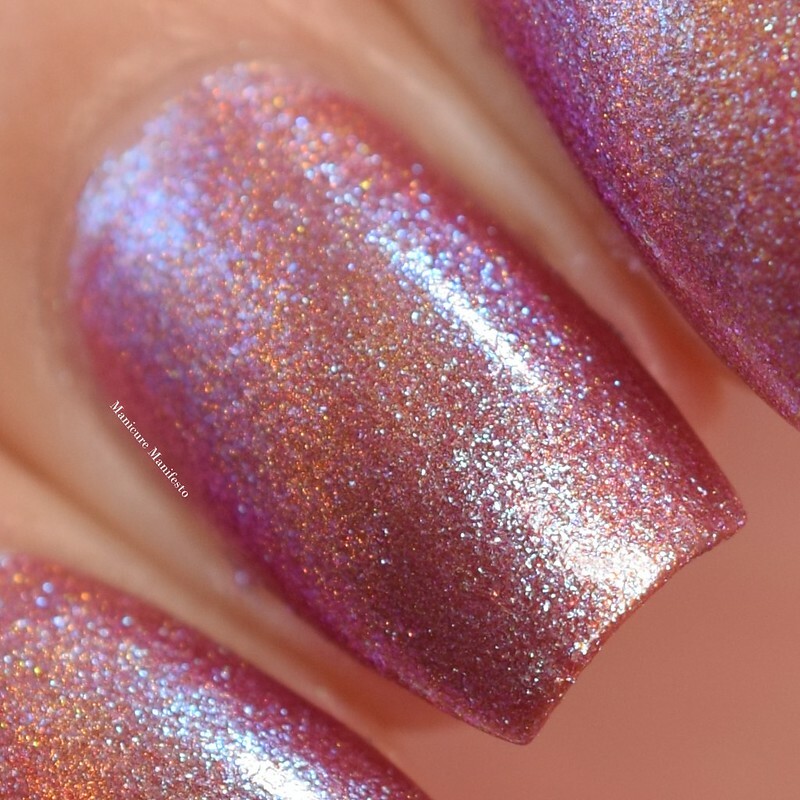 This shade dries to a matte finish and does have a some uneven spots from the flakes so I recommend an extra coat of top coat for a nice smooth finish. 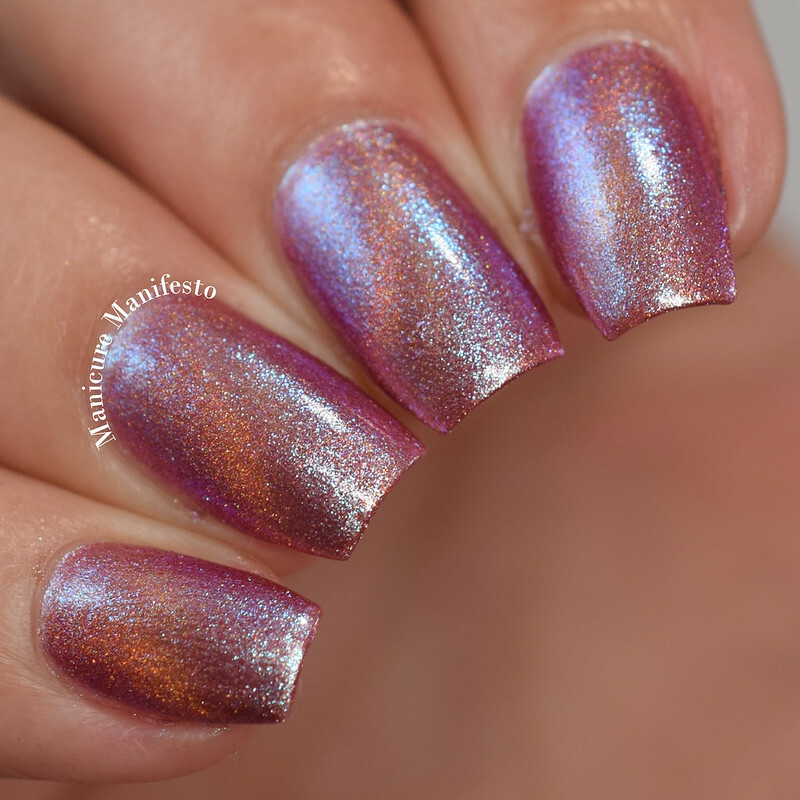 Photos show three coats of The Maze And The Hightower with two coats of CND Creative Play top coat in daylight spectrum lighting.